Welcome to Day 6 of my 12 Days of Christmas. 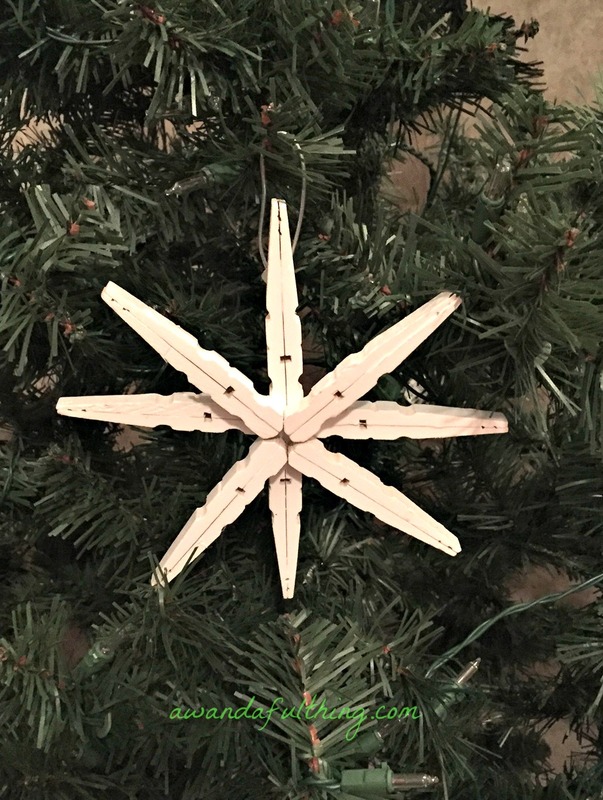 Today’s craft is an easy DIY clothespin Star Ornament. You will need 8 clothespins per ornament, some glue (E 6000) or a glue gun and a piece of wire or ribbon for hanging. Remove the springs from your clothespins. Glue 2 clothespin pieces back to back to make a point for the stars. Continue until all clothespins are made into stars. 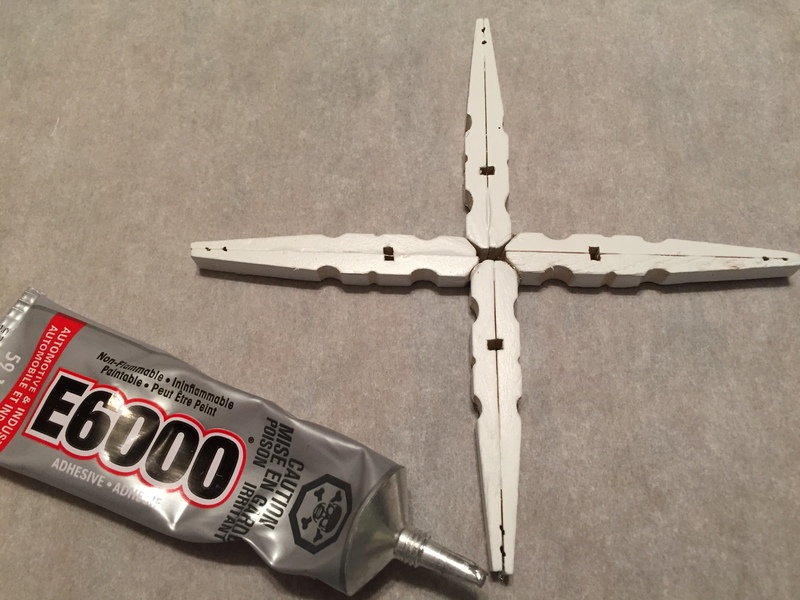 Glue 4 clothespins together at 90 degree angles to make the base of the star. 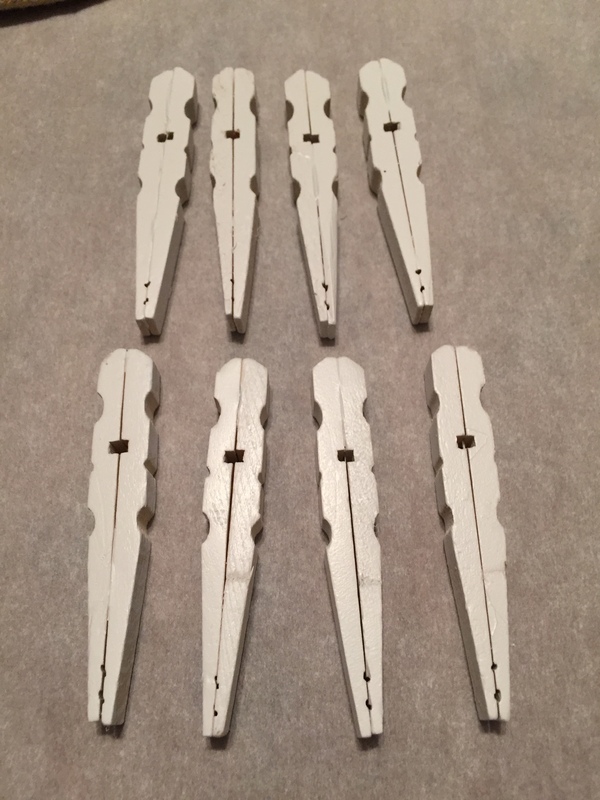 Repeat with the other 4 clothespins which will be glued on top of the base. Glue the top of each star to the base making sure the points are off set (do not line up directly). Now you can get creative! Paint and/or glitter your stars. I used white spray paint on mine. If you want to add glitter, apply an even coat of school glue and sprinkle with glitter. Attach a wire or a ribbon for hanging. 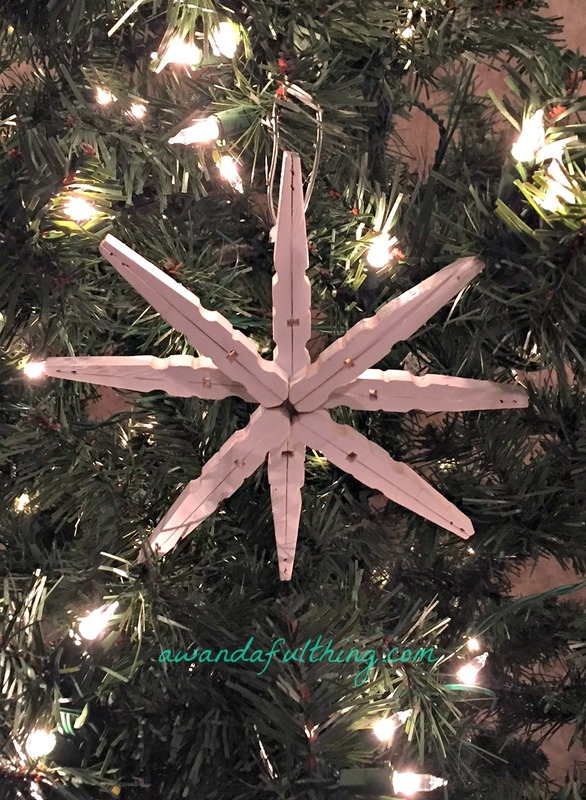 Easy, inexpensive, DIY clothespin Star – It’s A Wandaful Thing! This entry was posted in Decorate, DIY, Make and tagged cheap, Christmas, clothespin, Crafts, DIY, easy, gift, hanger, inexpensive, repurpose, reuse, ribbon, simple, star. Bookmark the permalink.